Award winning Wandsworth Radio is expanding to include the neighbouring London boroughs of Richmond, Merton and Lambeth, and is hoping to be heard on DAB digital radio in the near future. Rebranded as Riverside Radio, the station will launch with an outside broadcast from the world-famous Oxford and Cambridge Boat Race in Putney on Sunday 7th April 2019. Riverside Radio Managing Director Jason Rosam said, “We are so excited to be expanding our local radio service to the surrounding boroughs of Richmond, Merton and Lambeth. 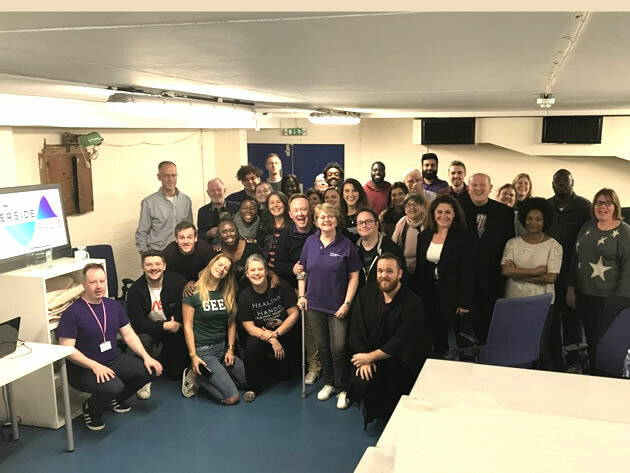 At the end of last year Wandsworth Radio won the Digital Radio Station of the Year at the national Community Radio Awards, and since launching in January 2015 has built a loyal audience of around 15,000 people every month. One of the reasons for re-branding to Riverside Radio is the new developments in DAB digital radio technology. Wandsworth Radio has only ever been available online and on radio listening apps and applied to Ofcom for an FM community radio licence in 2016 along with more than twenty other radio groups across London. Unfortunately Ofcom handed the licence to urban music station Flex FM instead. Since then the management team has been focussed on getting the station onto DAB digital radio and has sent Ofcom an expression of interest to run a new small scale DAB multiplex for South West London. It will help the regulator plan the spectrum for small-scale DAB and proposals are due to be released at some point this year. The new Riverside Radio promises to build on the succeses of Wandsworth Radio by providing a first-rate broadcast news service, highlighting local sport, arts, music and culture and offering valuable opportunities to hundreds of local people to gain skills in broadcast media such as presenting, news reading, reporting and supporting the station in technical, admin or other roles. Everyone at the radio station attends a new volunteers open day, held at the Battersea based studios, and Riverside Radio is keen to welcome more people from Richmond, Merton and Lambeth to apply for volunteer opportunities. Head of Volunteers Mike Stead said, “Our volunteers are what makes the station tick. They come from very diverse backgrounds. We have young and old, those who are new to radio, together with experienced presenters, journalists and technical staff. Like Wandsworth Radio, Riverside will be funded by a mix of advertising, sponsorship and fundraising.